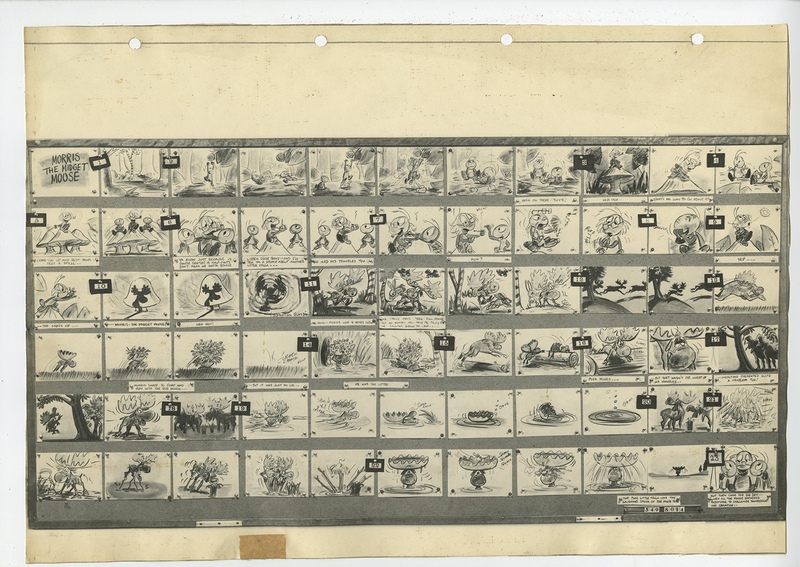 This is a set of original photostat storyboards from the Walt Disney Studios production of Morris the Midget Moose (1950). 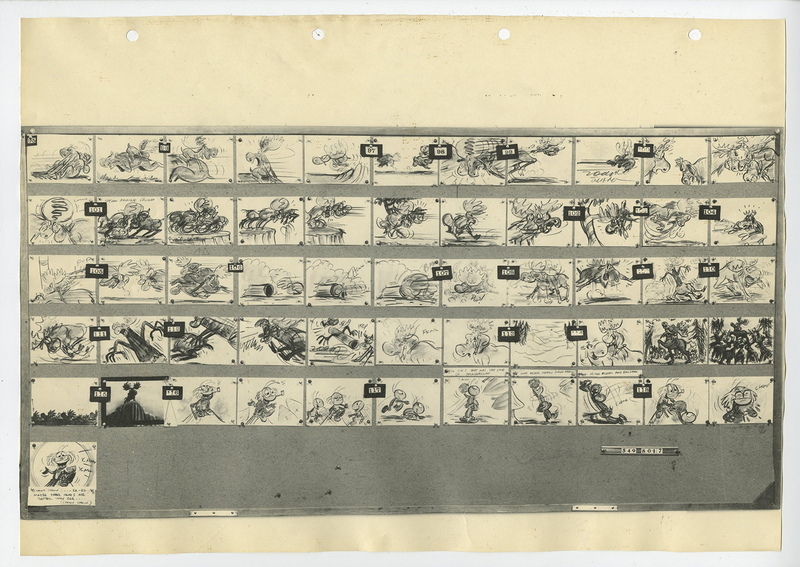 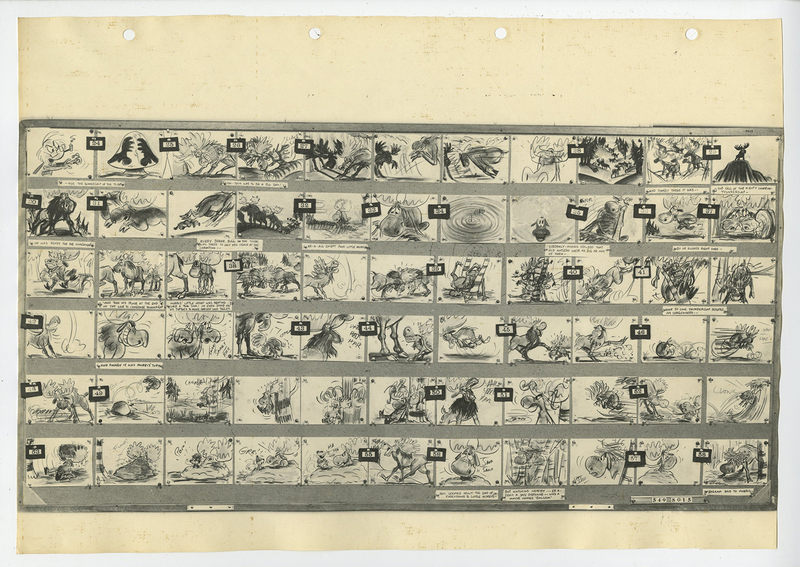 This set of photostat storyboards features Morris the Midget Moose, Balsam, Thunderclap, and Bootle Beetle within the photostat reproduced storyboards from the entire short, and was created at the studio and used during the production of the short as a reference tool for animators who would need to know the story's progression. 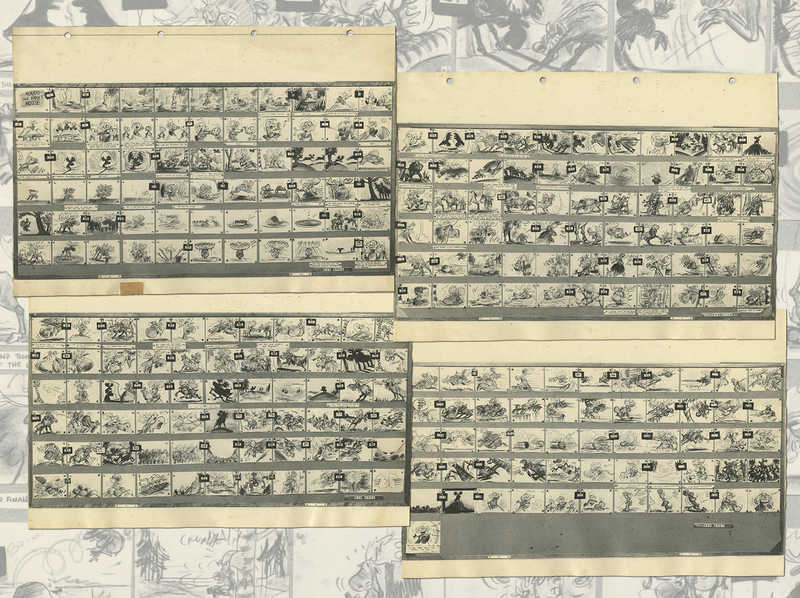 The overall measurements of the pages are 11.5" x 16.25" and the imagery on each page measures 8.5" x 16.25". 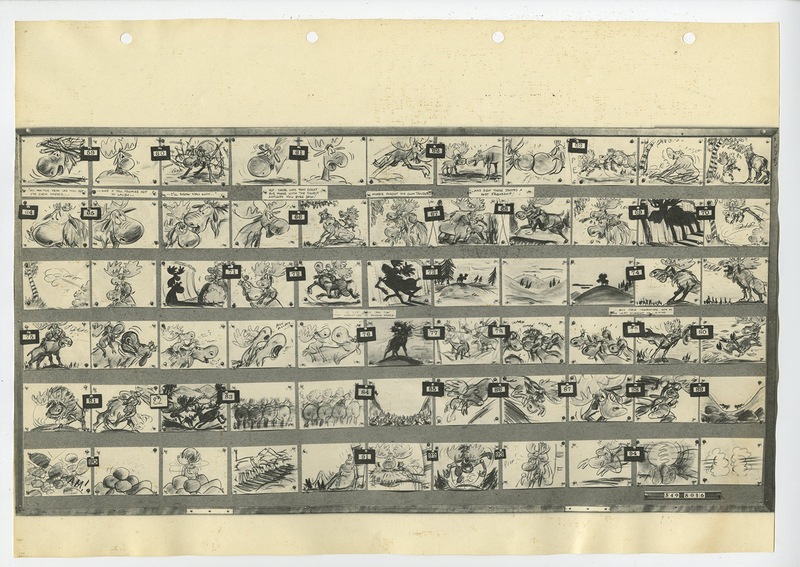 The set is in very good condition with minor rippling to the edges, as can be common with photostat materials.